DJ Piers Blinco is a true master of his art. A turntable maestro with over fifteen years experience under his belt. With an immense and eclectic record collection spanning multiple decades and the ability to mix a huge range of different music genres in to one set, Piers is the ultimate PARTY ROCKER, keeping crowds extremely entertained with a diverse mix of tunes. Never wanting to believe there was a venue he was not right for, or a crowd that he could not keep entertained all night long. Piers has developed an unrivalled attention to detail that incorporates exceptional technical ability, flair and the ability to perfectly read a crowd ensuring a packed dance floor, with people dancing and drinking to the early hours of the morning. Coming from "grass roots" DJ background of two vinyl turntables and a mixer Piers has a great understanding of the DJ art form. Over his thirteen years experience Piers quickly gained residency’s at all of Oxford night spots, the past few years have found him streamlining his roster of work in Oxford to concentrate on more prestigious weekend venues within London. He still plays regularly at all the major venues in the city of Oxford mostly during the week whilst also concentrating on regular gigs for Novus Leisure Ltd that operate an immense number of large bars and night clubs all over the city and west end of London. Piers is signed to all the major record promotion mailing lists, this ensures he receives all the latest music at the same time as MTV and all national radio stations. This means he is up to date with all the latest music sometimes over three months before a records release date. These include; Hed Kandi, Ministry Of Sound, Data, Hard To Beat, Positiva, AATW, Polydor, Gusto, Big In Ibiza, Perfecto and Defected. As he receives all his music direct from the record labels this keeps the venues he plays at safe in the knowledge that neither parties are part of any illegal copyright infringement or illegal downloading of material Laws enforced by the PRS or MCPS. 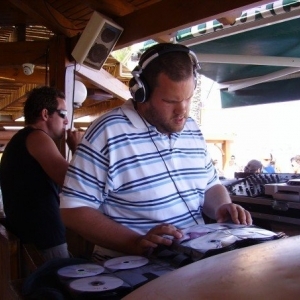 At the beginning of 2007 Piers was invited to become the main resident DJ in the party arena at The Castle Club in Ayia Napa, Cyprus for the full summer season. The club is the largest on the island of Cyprus with a capacity of 4000+ people and the party arena holding just over 1000, he thrilled and amazed thousands of people all seven nights of the week for just under six months. Whilst there he played along side such major names as; Ratpack, Nicky Blackmarket, The Freemasons, Ras Kwame & DJ G Child to name a few. Obviously playing at the countries largest venue was a very special privilege however, it was not the only venue he played at. He also was picked for Castle Club pre parties that were held at Guru Bar and Kosmopol Style Bar and the promotion events held on Nisi Beach within the beach bar. Upon returning to the UK he was welcomed with open arms back to his Oxford and London venues entertaining university student crowds weekly up until the Christmas break where he began work on Christmas staff parties booked by companies in the Oxford and London area. 2008 was essentially business as usual, starting with an amazing New Years Eve event in Oxford, returning to student nights in the week and weekends taken up by London venues. Up until the summer Piers was working flat out usually having 5 gigs a week split over Oxford and London. As university term began to draw to a close Piers was looking for some time off in the form of a holiday in Florida, whilst there he gained contacts for the Downtown Disney Pleasure Island nightclubs that he is currently following up for work in the future. On returning to the UK he once again returned back to The Castle Club for some guest slots in all three arenas of the club. With the summer over he returned to his usual hectic schedule. Now in 2013 Piers is still Booked for saturday nights at Kiss Bar in Oxford.